A 2-hour applied chemistry workshop based on year 9/10 science. 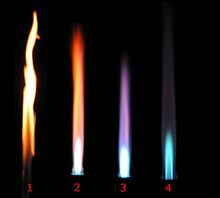 The students will use Bunsen burners to do flame tests to analyse unknown solutions and there will be a couple of other forensic science themed investigations. Fully hands-on.